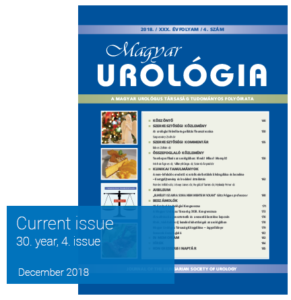 The website http://urologiahungarica.hu is the English online version of the printed scientific journal “Magyar Urológia”, the official journal of the Hungarian Society of Urology. The journal covers the wide scope of urology, provides current information of research, development and treatment aspects that are involved in the fields of urology and has been a prestigious urological forum for over 28 years. Topics such as urooncology, clinical and surgical urology, erectile dysfunction, infertility, reconstruction surgery, urolithiasis and endourology, paediatric urology, neurourology and urodynamics, female urology, andrology and sexual medicine, radiology, pathology as well as recent advances in techniques, instrumentation, surgery and academic/basic science provide readers with a complete guide to international developments in urology. 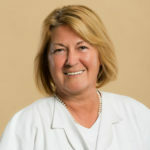 The issues contain peer-reviewed original articles, state of the art reviews and opinions, surgical techniques, case reports, book reviews and correspondence. We publish important, practice challenging manuscripts to educate our readers and improve the care of our patients. Urologists, oncologists, pathologists, radiologists and scientists are invited to hand in their contributions to make “Magyar Urológia” a viable forum on latest findings in research and practice in urology. The journal is published 3 monthly in print and online by the Promenade Publishing House The official language of the journal is Hungarian with a full English summary of the articles, but occasionally thanks to authors from abroad there are some manuscripts in English language. Access to most full-text articles content is free to everyone shortly after printed publishing of the journal and can be reached via English homepage (http://urologiahungarica.hu) or via CrossRef system using DOI links of the articles. The journal is indexed by MTMT (Hungarian Scientific Works Register by Hungarian Academy of Sciences) and archived by REAL – electronic library service containing full-text documents, operated by the Library and Information Centre of the Hungarian Academy of Sciences) (http://real.mtak.hu). Authors and reviewers may submit and review manuscripts online. Contact with the editorial office should be through electronic means. Questions regarding manuscript submission may be sent to Ms. Nikoletta Lábán, Editorial Secretary. H-7623. Pécs Str. Munkácsy 2. Section Editor Uroonkology: Imre Romics MD. DSc. Associate editors: László Farkas Md, Med. Habil. Attila Varga MD, Med. Habil. István Buzogány MD, Med. Habil. Árpád Szántó MD, Med. Habil. Péter Tenke MD, Med Habil. H-1125 Budapest Str. Tusnádi 19. Thromboprophylaxis in urological patients: to whom, how long, too much or too little?